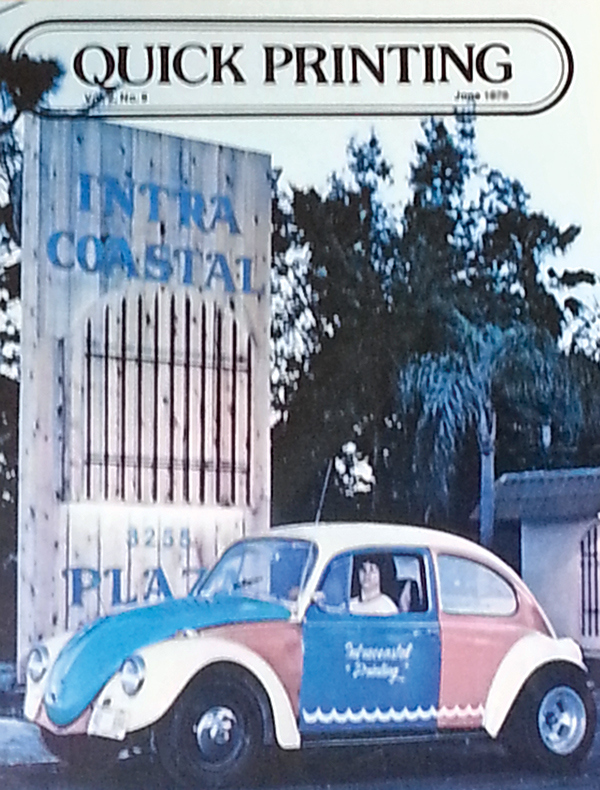 I worked for Intracoastal Printing in Fort Pierce/Port St. Lucie, Florida in my early years. I drove a 1967 VW Baja Bug. The owner had it painted, paid me $10/month, and I drove around town becoming quite a celebrity. I had my own billboard and got mentioned on local radio 95.5 WOVV). I was one groovy dude, man.